A simple card for Simon Says Stamp Monday Challenge - Autumn. The background had been sitting for a while, having been made with left over paints and texture paste. 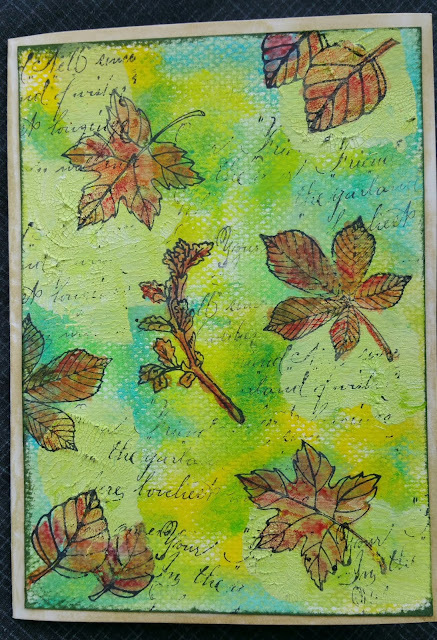 I stamped the leaves and coloured them with Inktense pencils then added the script stamp.